Apart from Brexit, which I promise I will not mention again, this has been a good and very interesting year for MEI, tinged with some sadness at the passing of old friends. A resurgence in the mining industry was on everyone's Christmas list, but unfortunately we are still waiting for this, the prices of most metals, including copper, falling rapidly mid-year for various reasons, including the trade war between USA and China, and a slowing down of the Chinese economy. January was a landmark month for Minerals Engineering journal, with its new look and editorial structure after merging with International Journal of Mineral Processing. I was in Minneapolis in February for the Annual SME Meeting, the first time that the event has been held in the biggest city in the state of Minnesota, the largest producer of iron ore and taconite in the USA. The attendance was just over 5000, the lowest for the best part of a decade, partly due to the state of the industry, but exacerbated this year by Minneapolis as a venue. 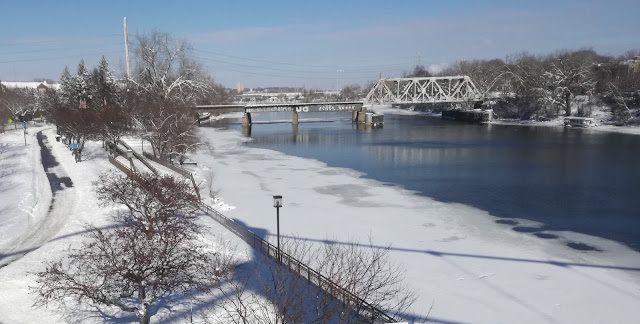 Minneapolis was not a popular choice, but I found the city to be attractive, and the convention centre and local accommodation were of high standard. 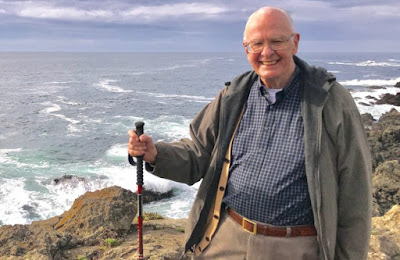 In a couple of months time the SME will be back in the ever-popular Denver, so I am hoping for big numbers again, boosted I hope by the International Symposium to honour the 90th birthday of Prof. Douglas Fuerstenau, and where he will be presented with the IMPC Distinguished Service Award. Prof. Fuerstenau on his 90th birthday, December 6th. There were some sad occasions during the year, with the passing of old friends and colleagues. Camborne School of Mines lost a number of well known characters. Paul Burton was a student when I started lecturing at CSM in 1974, and his early death in March was marked by a great sundowner turn-out at the Portreath Arms Hotel, where we celebrated his life and raised our glasses to his memory. Paul is pictured 2nd left in the picture below, at a previous sundowner. 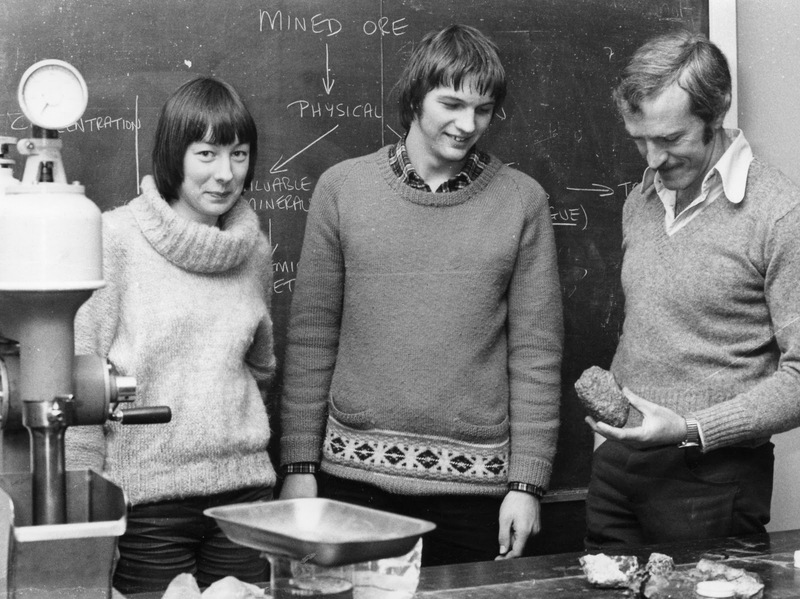 In the centre is Prof. Keith Atkinson, former CSM Director, who died last year. We also lost two other great CSM characters during the year, Ron Hooper, who died in May, and former head of mining John Shrimpton in September. 199 comminution specialists from 24 countries were at the Vineyard Hotel in Cape Town in April for MEI's 11th Comminution Conference. The highlight for me was presenting Australia's Dr. Grant Ballantyne with the 2017 MEI Young Person's Award. It was a great conference, and a beautiful evening for the conference dinner, which was held at the Lagoon Beach Hotel at Milnerton, on the shore of Table Bay, with its backdrop of Table Mountain and Robben Island. It was good to see our two former Flotation consultants from nearby University of Cape Town, Profs. Dee Bradshaw and J-P Franzidis, although Dee had some devastating news. We all knew that she had been having treatment for cancer, and were were all hoping that she was recovering, but she asked that it be known to everyone that she was now terminally ill. She expressed an hope that she would be strong enough to come out to Namiba in June for Sustainable Minerals '18, and maybe even Process Mineralogy '18 in November, but sadly it was not to be, and Dee passed away in early June. Dee bore her illness with amazing fortitude and spirit and she was a wonderful ambassador for the role of women in modern mining. 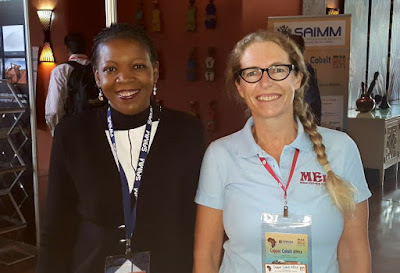 Less than a week after her untimely death, Dee was very much on the minds of many people at Biohydromet '18 and Sustainable Minerals '18 in Windhoek, Namibia, and we observed a minute's silence in her memory at Sustainable Minerals, a conference to which she would have had a major input. 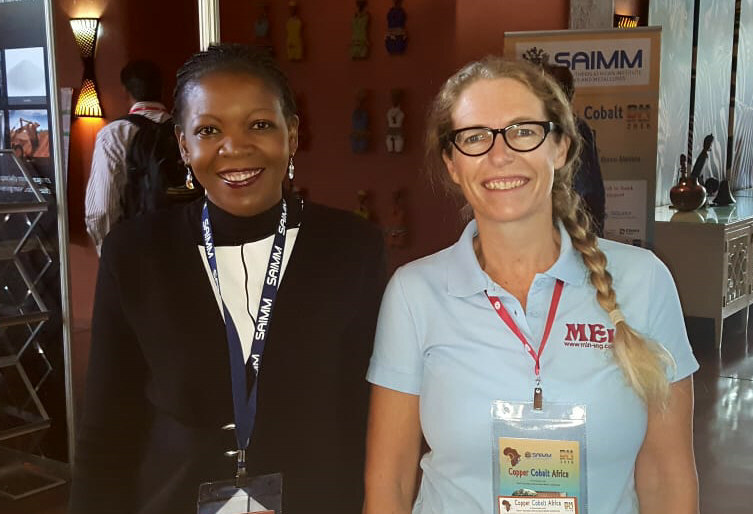 The two conferences were MEI’s first outing in Namibia and we were pleased to be associated with the relatively newly formed Namibia University of Technology. 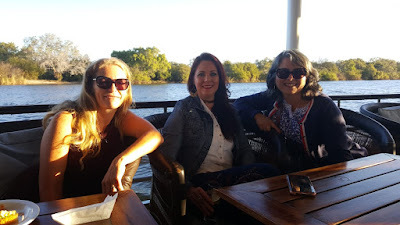 The events were held at the impressive Windhoek Country Club, and we held a very informal, joint conference dinner at the Xwama Cultural Village, in the heart of Katutura, Windhoek's most diverse and vibrant township. Namibia in June proved to be a good choice, with its relatively mild winter temperatures. Many of the delegates chose to stay on to explore the incredible natural attractions of Namibia, Barbara and I spending a couple of nights at the Namib Desert Lodge, a 4 hour drive from Windhoek and just outside the Namib National Park. We had a memorable day with our guide, driving along the Tsauchab dry riverbed, which passes through the impressive dunes until it reaches the Sossusvlei clay pan, from where we walked to the awesome Dead Vlei, where 900 year old dead acacia tress stretch their branches into the blue sky. We arrived back in Falmouth just in time for the June mining sundowner, where it was good to welcome some new faces, including three representatives from King's Ceramics and Chemicals, China. Alex Wang, an MEI 'Rising Star' was accompanied by two of his colleagues, Jiaye Luo and Ray Xu. They had travelled from Beijing to visit local company Grinding Solutions Ltd for two days of meetings. King's Ceramics and Grinding Solutions Ltd (GSL) both sponsor MEI's comminution conferences, as does Magotteaux, and in early July Barbara and I enjoyed a great meal with Dr. Chris Greet, of Magotteaux Australia, and Nick and Flee Wilshaw of GSL, in the most beautiful of settings overlooking Falmouth's Swanpool Beach. July was an exceptionally hot month, too hot in fact for hiking, so I took to my bike to explore the many mining trails in easy access to Falmouth. The most impressive of these is the coast to coast trail between the ports of Devoran on the south coast and Portreath on the north, and which passes through the Gwennap Parish copper mining district, once regarded as the 'richest square mile on earth'. While cycling off the main trail I "discovered" a hidden gem, the ruins of Wheal Peevor, mined for copper and tin in the 18th and 19th centuries. 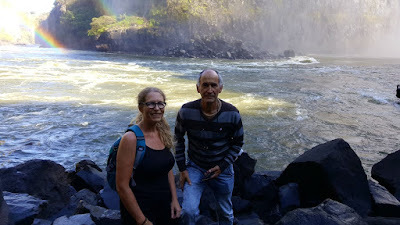 So impressed was I with the ruins, and the well maintained trail, that we have incorporated it as a visit during next year's Physical Separation '19. Amanda managed to escape the Cornish heat in July, to the relative coolness of the Zambezi Valley in Zambia. She was in Livingstone for the SAIMM's Southern African Base Metals Conference and thoroughly enjoyed her first visit to the land of her birth. 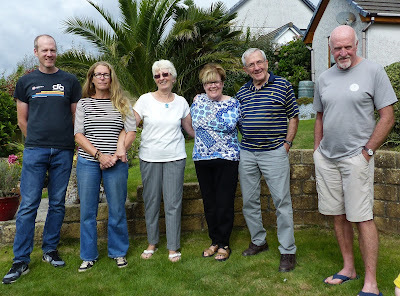 It's always a great pleasure to show people around our wonderful county of Cornwall, particularly if guests have a keen interest in the history and beauty of the area, as did Prof. John Ralston and his wife Ann, who spent three nights with us in August. John and Ann are great fans of the BBC series Poldark, so in their limited time in Cornwall Barbara and I took them to some of the filming locations, beginning with the beautiful Kynance Cove on the Lizard peninsula, one of the settings for the fictitious Nampara Cove. And then on to the tin mines of Botallack near Land's End, finishing with welcome refreshments at Falmouth's Chain Locker pub. 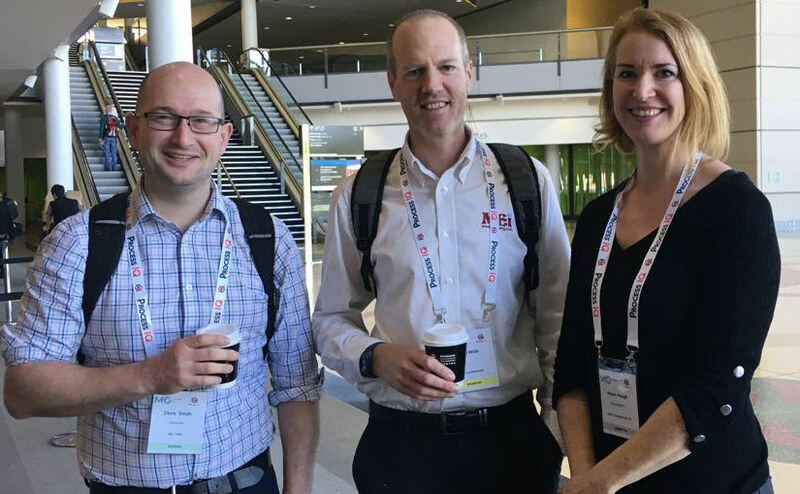 Jon and his partner, Dr. Kathryn Hadler, were in Brisbane at the end of August for the AusIMM's Mill Operators' Conference. 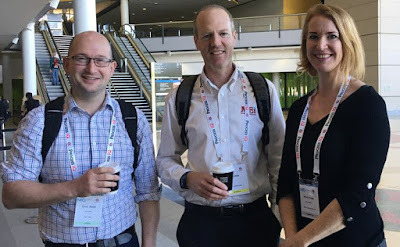 Jon has attended a number of MillOps, but this was Kathryn's first, representing Imperial College, UK, and I thank her for her input to the conference updates. I attended my first International Mineral Processing Congress in 1988 in Stockholm and had missed only one since then, the Rome IMPC in 2000, where MEI was represented by Amanda. The IMPC in Moscow in September was the first at which MEI was not represented. Unfortunately the Russian Embassy had made it very difficult (and expensive) to obtain visas, necessitating a long journey from Cornwall to the Embassy to be fingerprinted, and then a wait of up to several days for the visa to be processed. So this year we relied on others to feed back information on the event. I thank you all for that, including John and Donna Starkey, of Starkey & Associates, who made the long journey from Ontario to Moscow, stopping off in UK and dropping in to Falmouth for a few hours to catch up with us at MEI. I spent four days in Changsha, China in October, having kindly been invited to present two short seminars at the Central South University (CSU), and to be honoured in a ceremony to confer on me Honorary Professorship of the University. An honour indeed, as CSU has around 55,000 students and 20,000 staff and is in the top 20 of 2800 universities in China. There are 38 universities in China with mineral processing departments, and CSU, which specialises in non-ferrous metals, is ranked number 1, and is the largest, with 110 staff, 1000 undergraduate students and 500 post grads. It was recently ranked number 2 in the world in the ShanghaiRanking's Global Rankings for 2018. I have visited countless universities and research institutes over the past decades, but I can honestly say that I have never met such an impressive team of young researchers and staff. I can say with complete confidence that CSU will play a major role in the future evolution of mineral processing. 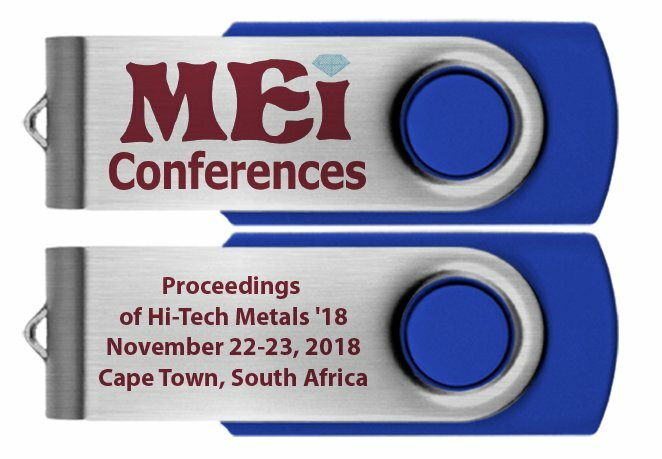 We were back in Cape Town in November for Process Mineralogy '18, and a new conference Hi-Tech Metals '18. Although the latter was one of our smallest conferences, it brought in new faces, and we are confident that the series will grow in size in future. It was a great week at the Vineyard, and the sun shone on every day but one- when we held the Process Mineralogy conference dinner at nearby beautiful Kirstenbosch Botanical Gardens. Barbara and I travelled up to Pretoria after the conference, and then took the famous Blue Train back to Cape Town. An interesting journey on a luxurious train travelling through some of the most impoverished areas of South Africa. A land of contrasts indeed! 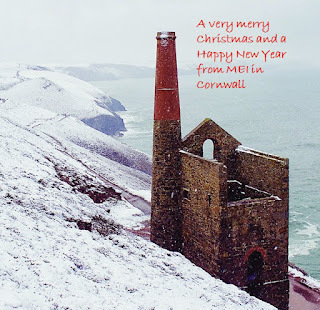 And then back to a very wet and windy Falmouth, bracing ourselves for another long Cornish winter, but plenty to look forward to in 2019, including the 20th anniversary of MEI, and the anniversary of my 50 years in the minerals industry. It has certainly been an interesting year and, on behalf of all of us at MEI, I would like to thank all of you who were a part of it. We hope to catch up with as many of you as possible in 2019. Happy New Year! A great turnout last night for the Christmas Cornish Mining Sundowner, held at Tyacks Hotel in the old mining town of Camborne. I say 'old' but Camborne will soon be revitalised with the imminent reopening of the South Crofty tin mine, a very old mine, which finally closed in 1998, but is scheduled to reopen and go into full production again in 2021. The South Crofty Tin Project is owned by Strongbow Exploration and last night the +25 regulars were kindly hosted by Strongbow and its COO Owen Mihalop. Early last month I had a fascinating visit to the United Downs Deep Geothermal Power (UDDGP) project in the old copper mining district. UDDGP aims to build on the experience and expertise developed during the Hot Dry Rock (HDR) project in the 1980s, which was led by my old friend and Camborne School of Mines colleague, Dr. Tony Batchelor. Drilling commenced on 6th November, and is now at a depth of 900 metres. Initially drilling was through the very hard metamorphic killas, a rock which has been a comminution nightmare on many of the now abandoned copper and tin mines. Cornwall is underlaid with the huge Cornubian granite batholith, which intruded into the Devonian sediments around 280 million years ago, baking the sediments into the hard killas. 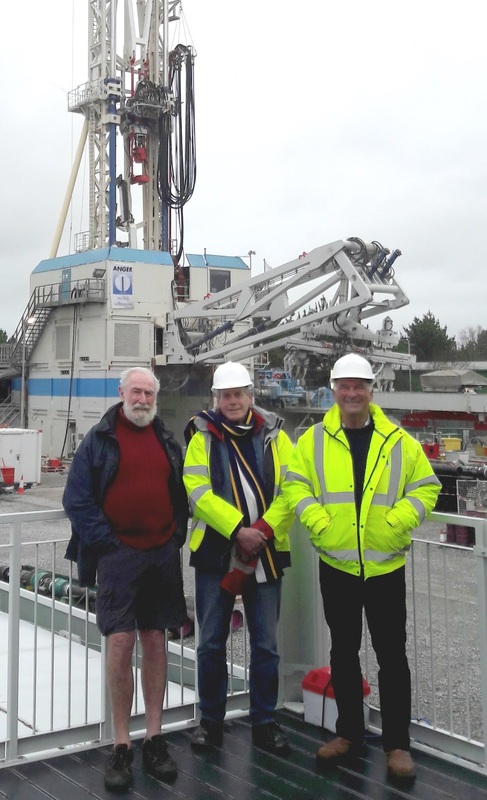 The drill reached the granite at around 650 metres, and earlier in the week, regular sundowners Alan Matthews, Bentley Orchard and Malcolm Hooper visited the site for discussions with Tony on the complexity of the geology in the top 900m. Tony Batchelor is also the Chairman of the Camborne School of Mines Trust, and we discussed the need for CSM staff to be more proactive if they wish to increase the intake to their new MSc in Mineral Processing (posting of 17th December), which will be helped by the CSM Trust offering scholarships worth £6,000 each to exceptional students who enrol on the course in September 2019. On behalf of the Wills family at MEI, I would like to wish all our friends and colleagues a wonderful festive season and a very happy New Year. We hope to catch up with as many of you as possible in 2019 in various parts of the world. Thank you for supporting all that we do. There's been a bit of a wait for this newsletter - my apologies, I've been busy working on Process Mineralogy'18 and Hi-Tech Metals '18, which took place in Cape Town last month. Both events went smoothly, and you can catch up with them by reading Barry's conference diaries (Process Mineralogy '18, Hi-Tech Metals '18) and viewing the photos (Process Mineralogy '18, Hi-Tech Metals '18). In other conference news, there is now a Call for Papers for Flotation '19, which will be held in Cape Town next November, and a Final Call for Papers for Computational Modelling '19 and Physical Separation '19, which are to be held in Falmouth, UK, next June. We have also had a number of new sponsors join us in the last few weeks too. Regular MEI Conferences sponsor, Zeiss, are sponsoring Flotation '19, as are Senmin for the 7th time. We also have a new sponsor for Physical Separation '19; Master Magnets are sponsoring for the first time. * Is CO2 the most maligned gas in history? * Could Mineral Processing Companies be Looking to Nova Scotia? Do you know of a young person who has made an outstanding contribution to minerals engineering in 2018? If so, he or she might join the 7 previous winners of this award, Peter Amelunxen of Chile (2011), Randall Zahn of USA (2012), Rodrigo Carvalho of Brazil (2013), Elizabeth Whiteman of Canada (2014), Hakan Dundar of Turkey (2015), Swadhin Saurabh of USA (2016) and Grant Ballantyne of Australia. Nominations, for persons under 35 years of age at December 31st 2018, should be submitted by email to bwills@min-eng.com by 1st February 2019. Nominations should include the name, age and affiliation of the nominee, and reasons for the nomination. The recipient will receive an engraved award and a complimentary registration to any MEI Conference in 2019, where the presentation will be made. The mining industry is one of the world's greatest emitters of carbon dioxide, and legislation to reduce emissions has a severe impact not only on existing operations but on the potential start up of new ventures. And all at a time when the demand for metals is growing, particularly with the electric vehicle revolution. It is not surprising, therefore, that talk at major mineral processing conferences often drifts towards climate change and its causes. Mineral processors are not climate change scientists but they are entitled to their views. As is the veteran broadcaster Sir David Attenborough, who last week was the keynote speaker at the opening ceremony of the United Nations-sponsored climate talks in Katowice, Poland, the most critical meeting on climate change since the 2015 Paris agreement. Sir David painted a truly apocalyptic vision of the future with the collapse of civilisations and the extinction of "much of the natural world". "Right now," he said "we are facing a man-made disaster of global scale. Our greatest threat in thousands of years. Climate change". He urged everyone to change their habits, in particular avoiding air travel- a little hypocritical maybe, as he spends half his life in the air travelling to remote locations for his excellent natural history series. Sir David's comments were the lead story on the BBC national news that evening. Not surprising as his views reflect the BBC's hard-line policy, an article in The Times (BBC freezes out climate change sceptics, September 8th 2018) reporting that science staff have been told that they need no longer invite those who deny anthropogenic global warming on its programmes, suggesting that allowing them to speak was "like letting someone deny last week's football scores". It is very noticeable that the BBC's references to climate change are almost always preceded by 'man-made', but what really angers me is the repeated assertion that "all scientists agree that climate change is due to the activities of man". This is just not true. When I discuss the topic at conferences there are, of course, many who back anthropogenic warming, but there are many who are sceptics who question some, or much, of the science. Many, however, are outright deniers of man-made climate change and feel that it is more likely that the temperature rise is due to natural cycles. Geologists in particular tend to support this, claiming that they have seen it all before, although not literally, and some astrophysicists argue that the temperature rise is due to solar activity. There was much intense debate on the blog a few years ago, and a very eminent geologist, Prof. Ian Plimer, Emeritus Professor of the University of Melbourne, presented some very convincing arguments against anthropogenic global warming, which led to some interesting comments, and a long response against his arguments by the University of Exeter's Dr. Stephan Harrison. Many geologists that I speak to support Plimer's views. So where do I stand on this extremely complex topic? I have spent almost 40% of my life as an editor of a peer-reviewed journal and have developed a nose for sniffing out bad science and I have to admit that I have been very sceptical about some of the science advocating anthropogenic global warming. I am a great believer in the motto of the Royal Society, nullius in verba (take nobody's word for it) and believe that all scientists should question the work of others even though they may not be directly involved in that field. If pushed I would take the view that climate change is mainly a natural phenomenon, to which we humans contribute but by how much nobody knows. The suggestion that a small increase in concentration of a trace gas in the atmosphere can have such a profound effect on climate, and on the acidification of the oceans, leading to the disappearance of coral reefs, is not easy for me to accept. The media regularly report that CO2 levels have increased by around 40% since pre-industrial times, and the temperature has risen by 0.8 C. A question that I have asked before, but have not really got a satisfactory answer to, is 'how do we know this'? How can we compare temperatures and CO2 levels now to those of pre-industrial times when there was then no real interest in these levels? An increase in 40% seems a lot, but in absolute terms this is an increase in concentration from just under 0.03% to the present level of just over 0.04%. Can this small increase have such a profound effect? Many scientists are convinced that it can, as the Danish electrochemist Arrhenius showed in the early 20th century that without the greenhouse gases H2O, CO2, CH4, O3 and N2O, the surface of the earth would be about -20C , like the moon. In this complex mix CO2 is the gas which has the second largest impact on reducing the amount of long wavelength radiation emitted by the earth, warmed by the Sun, back to space. The most potent green-house gas is water vapour and rising temperatures increase the amount of this gas in the atmosphere. Other major green-house gases are hydrofluorocarbons, perfluorocarbons, sulfur hexafluoride, and nitrogen trifluoride. These are synthetic, powerful greenhouse gases that are emitted from a variety of industrial processes. They are typically emitted in smaller quantities than CO2, but because they are powerful greenhouse gases, they are sometimes referred to as High Global Warming Potential gases. But suppose Plimer is right, and temperature rise is part of a natural cycle. The oceans contain trillions of tonnes of CO2 and a rise in temperature must, according to Henry's Law, release CO2 into the atmosphere, explaining the correlation between temperature and CO2 levels, the argument behind the climate change debate. The CO2 level would then be expected to lag behind the temperature rise, and there have been many articles in reputable journals over the past decade saying just this, although there have not been many reports of this in the media. So, does temperature drive CO2 levels, and not the other way round? Or maybe it is a combination of both? What I find really hard to swallow, however, is that an increase in CO2 concentration from 0.03% to 0.04% can acidify the oceans to such an extent that Sir David Attenborough predicted in his superb series, The Blue Planet, that the coral reefs would disappear by the end of the century. The programme even had a ludicrous demonstration of this, showing that when acid was poured onto a piece of coral it bubbled and fizzed- of course it would. Carbonic acid is one of the weakest of acids, but even so, an increase in ocean temperature must release CO2, so if indeed the rate of attack on the coral reefs is increasing, what is causing it? Well every hydrometallurgist knows that the rate of leaching increases not only with acid concentration, but also with temperature. So back to my eponymous question. Is CO2 the most maligned gas in history? It is present in trace amounts in the atmosphere, it is not a pollutant and is essential for plant growth and the production of oxygen. Is the emphasis on CO2 taking the pressure off the real killer in the atmosphere? Air pollution is one of the world's major causes of death, and one of the main culprits is NO2 in internal combustion engine emissions. Electric vehicles will play a major role in the reduction of such emissions, and the mining industry will be vital in producing the materials for these vehicles. Let's hope that it is not hamstrung by the need to spend billions on controlling its own CO2 emissions. Mining is the primary industry, which feeds all other industries, and without a thriving mining industry civilisations would indeed collapse. So if draconian cuts in emissions are imposed, maybe it could be considered as a special case? Very unlikely I would suspect. I am expecting a bit of flak by publishing this post, but it is basically to solicit your views on this controversial subject. Do you believe that climate change is solely down to human activity, is it a purely natural phenomenon, or do you feel that it is probably a combination of both? 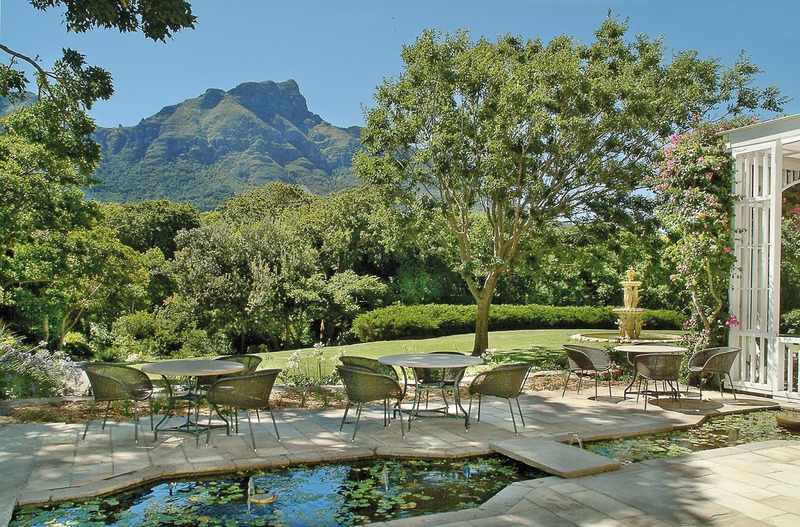 Hi-Tech Metals '18, the first in the planned series, got off to a very quiet start at Cape Town's Vineyard Hotel, with 31 delegates from 10 countries, 15 of the delegates having attended Process Mineralogy '18 earlier in the week. Processing of the Hi-Tech Metals is an area of crucial importance to society as a whole, and mineral processing will play a vital role, so we expect this conference series to evolve and grow in future years. In recent years a number of expressions have been applied to describe a group of commodities that are considered essential ingredients for technology development and economic prosperity. In some publications, these are referred to as “high technology metals”, in others they are named “strategic” or even “critical raw materials“. To add confusion the actual composition of this this large and disjointed group of commodities is subject to ongoing change – depending largely on perspective, technology and material development, geostrategic positioning and market status. In his opening keynote lecture, Jens Gutzmer, of Helmholtz Institute Freiberg for Resource Technology, Germany, attending his first MEI Conference, set the scene for the conference by addressing the reasons for the apparent confusion – and the inherent weakness of processes to identify “critical raw materials”. Furthermore, results of current efforts to quantify global resource potentials especially of by-product metals – many of which are regarded as “critical” - were discussed, as well as considering the role of recycling vs. primary production in the near- to mid-term supply of high technology metals. There is no doubt that recycling will be one of the great future challenges of minerals processing. With increasing trends in the production and consumption of technology devices and materials, the demand for metals including lithium, cobalt and rare earth elements are increasing exponentially. It is now widely accepted that technology and metal-rich industrial waste represent significant secondary resources that must be harnessed to sustain the development of new technology materials. However, the recovery and re-use of the metals from these strategic wastes are still challenging. In particular, the solubilisation, separation and recovery in forms that are useful for manufacturing remain key areas that warrant further research. Naomi Boxall, of CSIRO Land and Water, Australia, reviewed the recycling of technology-relevant metals from electronic, mining and industrial wastes, and opportunities and challenges associated with their re-use in the manufacture of new technology materials were identified. Naomi also discussed the extent to which the recovery and recycling of value from these wastes minimises the environmental impact associated with their production and disposal. Clearly, effective recycling of metals can help sustain the future of technology manufacturing. However, as highlighted by Rudolf Stauber, of Fraunhofer ISC, Germany, the complexity of devices is high making recycling for technology metals complicated. Therefore the generation of concentrated fractions is an important step in the process chain of treating secondary raw materials. In addition there is an increasing demand for intelligent sorting solutions to meet the growing complexity and heterogeneity of material flows. Rudolf focused on innovative recycling technologies for the recovery of critical raw materials from secondary resources by gas phase transport reactions, hydrogen processes and bioleaching. These recycling technologies can be adapted amongst others for rare earth based permanent magnets (REPM) and lithium-ion batteries. Hence in the field of magnets he highlighted the performance of recycled REPM produced out of scrap material for the application in electric motors. Following the coffee break Philippe Giaro of Université de Liège, Belgium stressed that the characterization of e-waste is critical in ensuring an optimized recovery of “hi-tech” and critical elements. While this is a new problem that is focused on e-waste, it is an old problem relatively well understood in mining through process mineralogy. Characterization of metallic alloys and their associated textures (i.e. liberation, association) are all key metrics, which help provide a better understanding on the distribution and location of economical valuable element/metals, and thus opening opportunities for recovery process optimization. Philippe presented a study on the first use of the Zeiss Mineralogic (and possibly Automated Quantitative Mineralogy) being deployed in e-waste characterization. This study outlines a new application area for automated mineralogy in e-waste characterization and how for effective recycling, there is a need for careful and robust material characterization. The Nechalacho rare-earth element (REE) deposit is located in the Northwest Territories, Canada. The main rare-earth minerals (REM) in the deposit are zircon, allanite, bastnäsite, synchysite, monazite, columbite (Fe) and fergusonite; with quartz, feldspars and iron oxides accounting for most of the gangue. In the first of four presentations by Chris Marion, of McGill University, Canada, he showed how recent studies investigating the use of a Knelson Concentrator and a Multi Gravity Separator (MGS) have demonstrated that both centrifugal gravity techniques have the potential to produce a high-grade pre-concentrate. However, both techniques resulted in low recoveries. This study investigates multiple stages of centrifugal gravity separation, operating at more ideal conditions, to evaluate and compare the effectiveness of a Knelson Concentrator and a MGS for the beneficiation of the Nechalacho Deposit. Rare Earths were also the subject of the papers in the afternoon session. Nebeal Faris, of RMIT University, Australia) described how the beneficiation of ferruginous rare earth bearing ores, derived from lateritic deposits, by conventional mineral dressing processes is made difficult by the characteristics of the ore such as fine grain size, complex texture and similar physical characteristics between rare earth minerals and iron oxide gangue. Nebeal showed how the removal of iron oxides would offer significant advantages with respect to downstream rare earth mineral processing. The purpose of the work presented was to demonstrate at bench scale the feasibility of magnetically separating iron oxides from a lateritic rare earth ore after the ore had been subjected to reduction roasting to convert weakly magnetic iron (III) oxides to magnetite. The target products from the test work were an upgraded rare earth feed and an iron concentrate suitable for further processing. The rare-earth elements are strategic metals and their growing economic and strategic importance, coupled with uncertainty in the global supply of REE from China, have led to concerns about the future supply of many of these metals. Due to these supply concerns and the increasing demand of REE, many new rare earth mineral deposits with novel mineralogy are being investigated. These deposits are often complex and contain multiple REMs for which there is limited processing knowledge. Chris Marion of McGill University looked at expansion of the flotation knowledge base of various REMs through an improved understanding of their physico-chemical properties. The minerals investigated were bastnäsite, parasite, monazite, eudialyte, fergusonite and allanite. The study included zeta potential and microflotation studies using common rare-earth collectors (fatty acids and hydroximates), in the presence and absence of activating ions (cobalt and lead) and depressants (citric acid and biopolymers). Anthony Geneyton, of Université de Lorraine, France, discussed a study to develop a new approach using a lanthanum chloride and carboxylate collector combination with the aim of improving the selective and effective collector adsorption onto the rare-earth phosphate minerals. Bubble/particle adhesion tests with sodium oleate collector were performed indicating a higher mineral surface hydrophobicity when using lanthanum chloride. Flotation experiments were performed with sodium oleate showing enhanced monazite recovery and flotation rate in presence of lanthanum chloride. The best flotation performance was obtained when the lanthanum chloride was added prior to the collector. With regards to the performed XPS study and the literature data, Anthony suggested that lanthanum ions or lanthanum species strongly interact with the under-coordinated phosphate groups on the monazite surface playing a role of a bridge between the monazite surface and the carboxylate group of the collector. The workers observed that the lanthanum chloride dosage and mode of addition must be strictly controlled to avoid a decrease of the availability of the collector and thus a decrease of the monazite recovery and flotation rate. It was shown that the addition of non-ionic reagents significantly enhanced the adsorption of the collector and thus the rare earth recovery under conditions where the presence of cations limit the natural collector adsorption. According to Levie Bumhira, of Stellenbosch University, South Africa, recovery of rare earth elements from secondary resources such as end-of-life fluorescent lamps will play an increasingly important role in the REEs market. Recycling of REEs from fluorescent powders often focuses on the recovery of Y and Eu, which have high value and are easily recovered. However, the recovery of other REEs present in more stable phosphor powders (e.g. Ce and Tb) should also be considered. Levie discussed a project aimed at evaluating a multiple stage leaching process for REE recovery from phosphor powders by investigating the effects of temperature, acid concentration and material pre-treatment on leaching behaviour. First stage leaching with H2SO4 resulted in 98 % yttrium and 91 % europium dissolution, but insignificant terbium and cerium leaching. Following alkali fusion of the first stage residue, Tb and Ce recoveries exceeding 95 % were achieved in the second HCl leaching stage. The precipitation of Ca species impacted REE leaching efficiency. A very good first day ended with a sundowner in the hotel gardens. More on day 1 on the posting of November 22nd. Lithium was the focus of the 6 papers presented in the morning session. Lithium is a strategic metal due to its high-tech usages, mostly for batteries in electrical vehicles, but it also has a high supply risk. Due to high market prices, several resources are under (re)evaluation. Reiner Neumann, of CETEM, Brazil, presented a case study on a pre-concentrate from the Argemela deposit in northern Portugal, which has an overall grade of 4.1% Li2O, the carrier being montebrasite. The ore grades around 40% of the mineral, and the main gangue phases are quartz (also around 40%) and muscovite. Several other phosphates are associated with montebrasite, planerite and childrenite predominating. This challenges the hydrometallurgical extraction of lithium from the concentrate. Reiner showed how an initial sulphuric roasting step was optimized by TGA at 800°C, above the dehydroxilation of planerite (340°C) and decomposition of montebrasite (740°C) temperatures. Over 95% of the lithium was extracted with water at room temperature, and the residue, dominated by quartz and berlinite, has less than 0.5% Li2O. Al and Fe are then precipitated as hydroxides by lowering the pH, and after filtering them out any Mg is precipitated by raising the pH to 12. The final lithium carbonate is precipitated by reacting with Na2CO3, at neutral pH. Lev Filippov, of Université de Lorraine, France, also presented a case study on a Portugese ore, the Gonçalo lithium bearing mica rich pegmatite ore, on which mineralogical analysis indicated that lepidolite occurs in coarse grained textures, which allows a noticeable liberation of gangue minerals from the fine grained lepidolite intergrowths with quartz, K feldspar and albite, making full liberation difficult to attain. Taking advantage of the coarser gangue liberation, image analysis was used to predict grade histograms of different size fractions, simulated by a developed random comminution algorithm. These histograms were used to simulate different pre-concentration scenarios at crushing sizes using optical sorting, allowing a Li pre-concentrate to be produced. A scaled approach of grinding and sieving produced a lepidolite rich fraction >210 µm which was processed using a Corona electrostatic separator to obtain a Li pre-concentrate assaying 3.5 % Li2O from a feed grade containing 1.8 % Li2O. Flotation testwork performed with the fine size fraction (-210+63 µm), showed that lepidolite flotation is optimized between pH 3 and 5, where concentrates assaying 4.2-4.5 % Li2O corresponding to 87-95% Li recovery were attained at the rougher stage. Traditionally, lithium has been obtained from brines, however, the expected increase in demand will require new hard rock deposits to be found and exploited. The main mineral containing lithium in pegmatite hard rock deposits is spodumene. There is relatively little recent work that has been published on the flotation of spodumene, which is an issue at a time where lithium supply security has become a top priority for technology companies. To develop an improved fundamental understanding of spodumene flotation, its zeta potential and microflotation behaviour in the presence and absence of different flotation reagents were studied at McGill University, Canada, and presented by Chris Marion. The reagents tested were sodium oleate, octyl hydroxamate and dodecylamine. Chris compared the results obtained for spodumene with that of common gangue minerals. Keliber Ltd. is a Finnish SME aiming at production of battery-grade lithium carbonate using a novel leaching process and utilizing the company’s own spodumene ores as the raw material. The process chain, starting with mining and ending with the production of high-quality lithium carbonate is multi-staged and complicated. Pekka Tanskanen, of Keliber, presented the main process stages and underlined certain points critical for lithium recovery and the quality of the final product. As the lithium ion battery (LiB) market is growing rapidly, LiB wastes will increase in the future and LiB components such as Co, Li, but also graphite, are forecast to be critical materials. These critical materials are contained in the black mass produced by LiBs recycling. Anna Vanderbruggen, of Helmholtz Institute Freiberg for Resource Technology, Germany, presented original research focused on graphite beneficiation from cathode lithium metal oxides by flotation. Detailed characterization of the pyrolyzed black mass (inculding MLA, XRF and XRD) showed that the graphite particles are fully liberated from the copper foils. Batch flotation showed that pretreatment, such as attritioning, improves process efficiency while preserving the shape of spheriodized graphite. Concentrate impurities mainly comprise fine particles from cathode active materials, which can be removed with desliming and flotation cleaner stages. Anna felt that this research is expected to bring about an innovative and useful process for the recycling industry. Bruce Musariri, of Stellenbosch University, South Africa, also discussed the importance of recycling LiBs. Current hydrometallurgical metal recycling processes involve dismantling and size reduction followed by leaching with mineral acids; these lixiviants present environmental challenges of their own. Bruce described a project to evaluate the technical feasibility of using organic acids, which potentially have a smaller environmental impact than mineral acids, as lixiviants to recover lithium, cobalt and nickel from LiBs. Batch atmospheric leaching tests were performed with citric acid and DL-malic acid to investigate the effect of acid concentration, leaching temperature and H2O2 addition on metal leaching. Leaching with 1-1.5 M citric acid and 2 volume % H2O2 at 95°C achieved more than 95 % Co and Li dissolution; these results suggest that organic acids can possibly substitute inorganic acids as environmentally friendly lixiviants. Significant cobalt mineralization associated with known Paleoproterozoic gold has recently been discovered at the Palokas Prospect in Northern Finland. This discovery has the potential to contribute significantly to the supply of cobalt for current battery technologies. The rocks are petrologically challenging because of their complex metamorphic and structural history, and in the first paper of the afternoon session, Pieter Botha, of Hippo Geoscience, Australia, described the development of analytical workflows based on the integration of multi-scale, multi-modal, and multi-dimensional technologies. In this way it was possible to establish: 1) the general nature of the mineralogy and rock microstructure; 2) specific details on the texture of the ore mineralisation, including its relationship to structural deformation events; and 3) the deportment of commercially important elements. The benefits of this workflow include the ability to upscale micro-scale observations for informing further exploration work, and early-stage predictive geometallurgical models. “Theisenschlamm”, a flue dust of former copper shale processing in Germany, was deposited between 1978 and 1990. Its complex composition comprises high amounts of zinc and lead as well as a variety of low concentrated high-tech metals, such as rhenium, molybdenum, cobalt and germanium, which brought processing of this material back into focus. Since the Theisenschlamm is very fine-grained, it is well suited for hydrometallurgical processing. However, the concentrations of the high-tech metals in the pregnant leach solution are very low (1-10 mg/L). Toni Helbig, of Helmholtz Institute Freiberg for Resource Technology, Germany, described the development of a process route which includes an innovative combination of membrane filtration and solvent extraction in order to achieve selective recovery as well as enrichment of the target elements. Rhenium is a valuable and extremely rare chemical element with unique chemical properties. It is extracted commercially as a by-product from the processing of molybdenite associated with porphyry copper ores. There is a present interest in recovering rhenium from copper pregnant leach solutions (PLS) produced by copper heap and stockpile leaching. These solutions contain rhenium at very dilute concentrations, typically in the 1 mg/L concentration range. Brent Hiskey, of the University of Arizona, USA, described laboratory column ion exchange experiments to extract rhenium from these solutions using weakly basic anion exchange resins and actual plant PLS from two operating mines. The dynamic loading and elution behaviour of Re on Purolite® A170 and A172 was discussed. Niobium, an important alloying element in steels, is primarily produced from three mines in the world: the Catalão and Araxá mines in Brazil and the Niobec mine in Canada. While current production rates are sufficient to meet global demand, concerns in the supply of niobium exist due to the geographic concentration of production. This has led to the development of many new deposits around the world, however, there is little information regarding niobium mineral beneficiation processes. While flotation is generally accepted as the most promising technique for the recovery of niobium-bearing minerals, such as pyrochlore and columbite, there is limited research detailing fundamental aspects of the process. In the last of his four presentations, and the final paper of the conference, Chris Marion, of McGill University, described a study examinings the physico-chemical properties of pyrochlore and columbite through zeta potential and microflotation experiments. Common collectors used in niobium mineral flotation (hydroximates, fatty acids, and amines) were studied in the presence and absence of activating ions (cobalt and lead) and depressants (oxalic acid and citric acid). The results were compared to those from dolomite (a common gangue mineral). After summarising the conference, Amanda invited everyone for a final sundowner in the Vineyard gardens. We look forward to running this conference again in two years time. Although having a slow start we are confident that the series will evolve and grow, as we believe strongly that this is an area where mineral processing will contribute a crucial role in our hi-tech future. The Proceedings of the conference are available on USB, and all authors have been invited to submit their final papers for peer-review, with a view to publication in a Virtual Special Issue of Minerals Engineering. Photos taken at the conference can be accessed here.